On November 1, 1872, in an act of defiance against the election laws prohibiting women from voting, Susan B. Anthony, along with fifteen women from Rochester, New York’s eighth ward, registered to vote at the upcoming election. Entries in the 1872 diary from the Maurice Leyden Collection provide insight into the events surrounding these actions. Maurice Leyden and his wife, Margaret, were friends of Susan B. Anthony and active supporters of the suffrage movement. In his November 1st entry Leyden writes, the “ladies went & were registered to day to & intend to vote if they can on Tuesday. – they are the first ladies that were ever registered in Rochester.” Margaret Leyden was among this group of women. On November 5, 1872, the day of the election, Susan B. Anthony and the women descended upon the local polling place and voted (illegally). Several days later a poll watcher lodged a complaint against the women and they were arrested. June entries from Leyden’s 1873 diary discuss the women’s arrest and the subsequent trial of Susan B. Anthony, who was found guilty of illegally voting and fined $100, which she never paid. The remaining women were also charged with illegally voting, but were never prosecuted. While these women had not been the first women to vote in an election, Susan B. Anthony was the first to be tried in court for the crime of illegally voting. The attention received by the trial created an uproar among the suffragists, re-energizing the movement. Special Collections is located on the second floor of the Glenn G. Bartle Library (off of the North Reading Room). Our hours are Monday – Friday, 10:00 a.m. – 4:00 p.m.
Posted in Uncategorized	| Tagged #film, #Hollywood, #Mack Sennett, #movies, #silent film, special collections	| Comments Off on Happy Birthday Mack Sennett! Blood Passion: The Ludlow Massacre and Class War in the American West by Scott Martelle (New Brunswick, N.J.: Rutgers University Press. 2007) recounts the events that led to the Ludlow Massacre, the culminating battle of the 1913–1914 Colorado coal miners’ strike. For several months preceding the massacre, union organizers from the United Mine Workers of America (UMWA) traveled throughout southern Colorado to organize a strike by the mine workers of the Rockefeller family’s Colorado Fuel & Iron Company (CF&I) to protest better working and living conditions. In September 1913 the coal miners agreed to strike after CF&I refused to meet with the UMWA to discuss their grievances. Shortly thereafter, the coal miners and their families were evicted from their company housing and a tent colony, consisting of 1,100 miners and their families, was established by the UMWA on vacant land near the mines in the Town of Ludlow. By the spring of 1914, strike-related tensions between the miners and CF&I escalated to the point that the National Guard was called in to contain the situation. On April 20, 1914 a full-scale battle erupted between the strikers and the National Guard at the Ludlow tent city killing several people, including women and children, during the course of the battle. For his book, Scott Martelle, researched the Lamont Montgomery Bowers Papers, held in the University Libraries’ Special Collections. Bowers, a native of Binghamton, N.Y., managed CF&I. After the massacre, an investigation ensued into the coal strike and CF&I’s role. Of all of those involved, from the National Guard to the owners and company management, Lamont Montgomery Bowers was the only one to be held accountable for the violence. As a result, Bowers was quietly removed from the company and returned to Binghamton, never coming to terms with being Rockefeller’s scapegoat. Glenn G. Bartle, first president of Harpur College, was commissioned as a Lieutenant in the U.S. Navy and served from 1942-45. He was appointed Commanding Officer of a V-12 Naval Unit at Swarthmore College. In addition to American troops, he also trained 49 Chinese naval officers. Bartle formed close ties with some of the Chinese officers, visiting several while on a trip to Asia after he retired. Bartle was awarded the Order of the Yun Hui (Cloud Banner). A medal and framed certificate were issued by Chiang Kai-shek on July 27, 1946. The photograph, medal and certificate are on view until February 1, 2019 in the exhibit Glenn G. Bartle: His Life and Legacy in Special Collections. Glenn G. Bartle, for whom the library building at Binghamton University was renamed 40 years ago, was a geologist, professor and college administrator. In the 1950s, he became president of Harpur College, which then became SUNY at Binghamton in 1965. Bartle was instrumental in the development of what has become a preeminent public university. An exhibit on view until February 15, 2019 in Special Collections examines his early training and career as a geologist, his expanding roles in higher education, and the transformative years during which he led the campus and academic programs at the university into new realms. An auxiliary exhibit outside of Special Collections surveys the development of what is now the Glenn G. Bartle Library. Special Collections is located on the second floor of the Glenn G. Bartle Library (off of the North Reading Room). Our hours are Monday-Friday, 10 a.m.-4 p.m. The exhibit was curated by Joe Schill, Special Collections graduate intern, and Yvonne Deligato, University Archivist. The poster was designed by Ben Coury, University Libraries’ Digital Web Designer. October greetings from Special Collections! New York Bat and Hoary Bat from American Natural History, V. 1, by John D. Godman, Philadelphia: Stoddart and Atherton, 1831. “The singular structure and habits of the Bat have long since afforded the poets an emblem of darkness and terror, and induced them to consecrate this creature to Proserpine, their queen of Hades. … it is by no means allowable for students of natural history to forget that all beings must live in conformity to the laws of their organization, that the perfection of every species is relative to the situtation in which it exists, and that our notions of beauty and deformity are neither true tests of the excellence nor importance of any inferior animal” – John D. Godman in American Natural History, Volume 1 (1831). Born in Annapolis, Maryland, John Davidson Godman (1794-1830) was a physician and naturalist. A member of the Philadelphia Academy naturalists and a teacher of medical students, he endeavored to write his own survey of mammals, American Natural History, which he wrote between 1823 and 1828. Portrait of John D. Godman drawn by C.G. Childs. In the last year of his life, as he was dying from tuberculosis, he wrote a number of nature essays for Friend, a Philadelphia weekly, which were collected into a posthumous book entitled Rambles of a Naturalist (1833). He died in Germantown, Pennsylvania in 1830. Binghamton University Libraries Special Collections owns volume 1 (incomplete) of the 3 volume set of American Natural History. To explore Godman’s text, visit Special Collections located on the second floor of the Glenn G. Bartle Library (off of the North Reading Room). Our hours are Monday – Friday, 10:00 a.m. – 4:00 p.m.
Posted in Books	| Tagged special collections	| Comments Off on October greetings from Special Collections! Summer in New York State, 1948, published by the New York State Department of Commerce. Local History Collection. This past summer, Special Collections was delighted to have Sarah Alender as an intern, who is working toward her MLS at the University of Wisconsin-Milwalkee School of Information Studies. While here, Sarah was given the opportunity to create an exhibition. Working with Head of Special Collections, Blythe Roveland-Brenton, and Special Collections Librarian, Jean Green, she created “Here, There and Everywhere: Traveling Through Special Collections.” The exhibit features materials from a wide variety of collections including the Local History Collection, the Tilly Losch Collection, the National/International Postcard Collection and the Haggerty Collection. The materials displayed provide the opportunity to travel the world during different eras without ever leaving Special Collections! With these materials, you are taken on a voyage, first traveling within the local area and New York State region, on to the rest of the U.S., and then traveling throughout the world. From Binghamton, New York to Leningrad in the former Soviet Union, and from the 18th century until the turn of the new millennium, it is truly a grand tour. Please stop into Special Collections to see “Here, There and Everywhere: Traveling Through Special Collections.” You will be surprised where Special Collections materials can take you! Our hours are Monday – Friday, 10:00 a.m. – 4:00 p.m. We are located on the second floor of the Glenn Bartle Library off of the North Reading Room. The exhibition will be on view through October 12, 2018. Postcard of the Grand Cascade at Peterhof (Petrodvorets), Leningrad, U.S.S.R., 1966. From the International Postcard Collection. The Binghamton University Libraries has been awarded a $15,000 grant from the Gladys Krieble Delmas Foundation to digitize important scholarship from our Max Reinhardt Archives & Library (Max Reinhardt Collection). 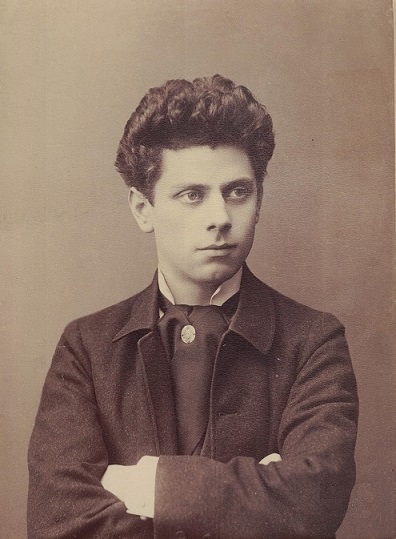 The Max Reinhardt Collection covers major aspects of the life and career of Austrian-born theatrical director and producer Max Reinhardt (1873-1943). Reinhardt was widely recognized as a major creative artist and played a leading role in the transformation of the director as the key figure in theatrical production and the innovative use of new theater technology and experimentation with theater spaces and locales. 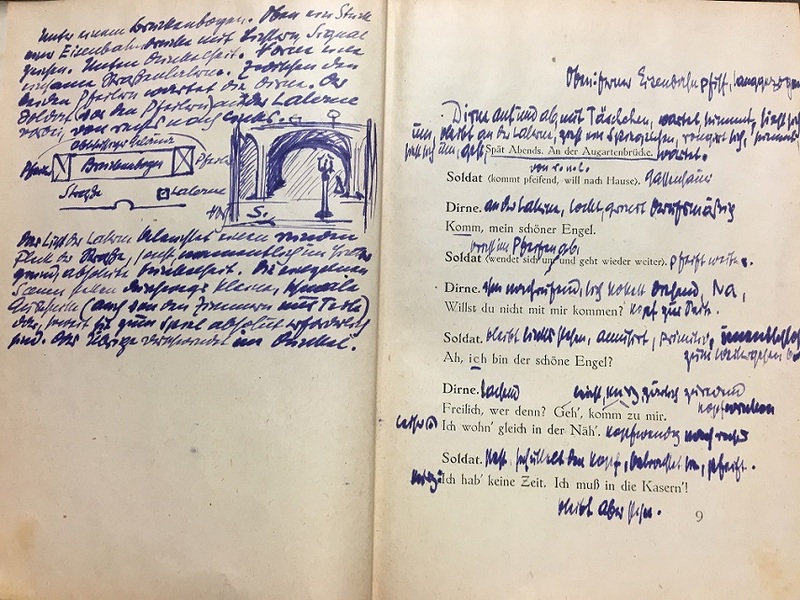 The grant provides funding to preserve, digitize and publish online a collection of 132 promptbooks from the collection, which are annotated by the celebrated director himself. The project will make this historical record available to researchers and the public, giving them new perspectives on his work and theater history. The Libraries will hire interns to convert the promptbooks into digital files that will be discoverable online via search engines and can be widely shared. The co-principle investigators are Jean Green, Special Collections librarian and David Schuster, director of library technology and Special Collections. The project will be last from May 2018 through April 2019. The Gladys Krieble Delmas Foundation promotes the advancement and perpetuation of humanistic inquiry and artistic creativity by encouraging excellence in scholarship and in the performing arts, and by supporting research libraries and other institutions which transmit our cultural heritage. 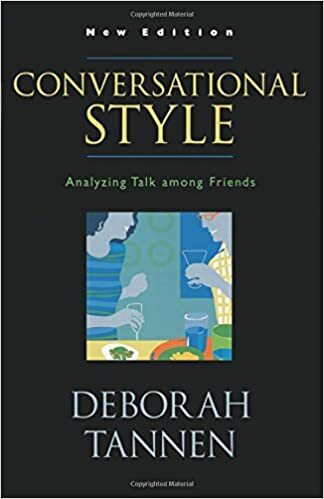 Conversational style: analyzing talk among friends by Deborah Tannen. New York: Oxford University Press. 2005. This revised edition of Deborah Tannen’s first discourse analysis book, Conversational Style–first published in 1984–presents an approach to analyzing conversation that later became the hallmark and foundation of her extensive body of work in discourse analysis, including the monograph Talking Voices, as well as her well-known popular books You Just Don’t Understand, That’s Not What I Meant!, and Talking from 9 to 5, among others. Carefully examining the discourse of six speakers over the course of a two-and-a-half hour Thanksgiving dinner conversation, Tannen analyzes the features that make up the speakers’ conversational styles, and in particular how aspects of what she calls a ‘high-involvement style’ have a positive effect when used with others who share the style, but a negative effect with those whose styles differ. This revised edition includes a new preface and an afterword in which Tannen discusses the book’s place in the evolution of her work. Conversational Style is written in an accessible and non-technical style that should appeal to scholars and students of discourse analysis (in fields like linguistics, anthropology, communication, sociology, and psychology) as well as general readers fascinated by Tannen’s popular work. This book is an ideal text for use in introductory classes in linguistics and discourse analysis. Donovan, H.P. Lovecraft, Mother Earth: Thanksgiving weekend, Fillmore Auditorium, Nov. 23-25, Winterland Ballroom, Glenn Mckay’s Headlights by Nicholas Kouninos. 1967. Poster from a concert held in San Francisco just after the end of the Summer of Love. The color poster measures 54 x 36 cm. The Fire Music by Liz Rosenberg. Pittsburgh, PA : University of Pittsburgh Press. 1986. Liz Rosenberg is faculty member at Binghamton, and this book is her first full-length collection. It won the Agnes Lynch Starrett Prize for 1985. The work contains poems that deal with children, holidays, nature, the past, marriage, aging, mortality, travel, dreams, and memories. The great theme of the book is mourning, and an elegiac tone runs through it from the dedication onward. New England holidays: a symphony. New York, NY. : CBS Masterworks, p1988. This performance was recorded at the Medinah Temple in Chicago, Illinois. It was preformed by the Chicago Symphony Orchestra with Michael Tilson Thomas as the conductor. The contents of the CD include: New England holidays, Washington’s Birthday, Decoration Day and Thanskgiving. And, if you need MORE Thanksgiving poetry, here’s yet another opus on the topic. Thanksgiving in poetry: poems / chosen by a committee of the Carnegie Library School Association. New York : H.W. Wilson Co. 1923. All of these materials are available for viewing or for listening in the Special Collections and University Archives department which is located on the second floor of the Bartle Library. The department is open from 10:00 am to 4:00 pm, Monday – Friday, but not on Thanksgiving! Leiden (Netherlands). Archives. : Leyden Documents Relating to the Pilgrim Fathers. Leyden: E.J. Brill. 1920. The Pilgrims, the religious sect known as the Separatists, and who later established the Plimoth colony, sailed from England to the Netherlands in 1608. They settled in several cities in Dutch cities: Amsterdam, The Hague, Leyden (Leiden) and Antwerp, but Leyden was the major center of aggregation. Despite the passage of time, it is possible to determine with a high level of certainty the individual Pilgrims, male and female, who emigrated to the Netherlands and their English origins. The list of the Mayflower passengers exists as do lists of later emigrants, but determining the actual Pilgrims who lived in Leyden (and elsewhere in Holland) during those 12 years, where they came from, how they were related, and what were their occupations is rather limited and difficult to find in the English historical documents. However, such vital documentation pertaining to the members of these Pilgrim communities is available in the Dutch Betrothal Books. From Leyden documents relating to the Pilgrim fathers (1920). Folio XVII, the marriage of William Bradford (first Governor of the Plymouth Colony, serving intermittently between 1621 and 1657) to Dorothy May, entered Nov. 15, 1613. The Pilgrims did not believe marriage was a sacrament, and did not marry in front of a clergyman, but instead in front of a local magistrate or bailiff. Fortunately for the Pilgrims, in Holland, couples also were married in civil ceremonies by either one of these local officials. And, to these officials, prospective brides and grooms had to provide the following information: their own baptismal names, the baptismal name of his/her father, their occupations, their places of residences, their home land or origins, consent of the parents, and one or two witnesses. All of this information was recorded in the Betrothal Records for each town. Moreover, other Dutch records relating to the Pilgrims such as permission to reside in certain cities can be found in archives in the various cities. If you are on a genealogical search of your ancestors, interested in learning some Pilgrim trivia for the Thanksgiving dinner table, or just like studying historical documents, this book of facsimiles is for you! It is available for viewing in the Special Collections and University Archives department which is located on the second floor of the Bartle Library. The department is open from 10:00 am to 4:00 pm, Monday – Friday. Call Number: **F68. L68. Rare Book Collection, Double Oversized. This issue is limited to four hundred copies of which the University Libraries owns an unnumbered copy.